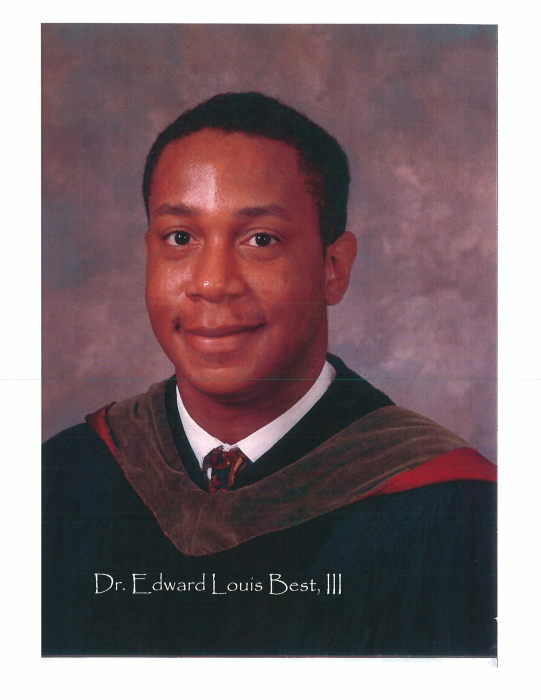 Maryland - Dr. Edward Louis Best III, 53 of Mitchellville, Maryland formally of Duplin Co., transitioned Saturday, December 1, 2018 at his home. He is the son of the late Edward Louis Best Jr. and Jessie Johnson Best. Precious memories will always be cherished by Ellis Braxton Louis Best, IV (son) of Mitchellville, MD, Rosa Best-Johnson, Keith Best (brother) and Nathan McGowan (brother) of Atlanta, GA, Pat and Lee Hatcher of Washington, DC, Carl Foster of Los Angeles, CA, Betty McIver Best of Kenansville, in addition to the family, professional medical colleagues and friends.